Product prices and availability are accurate as of 2019-04-18 12:58:13 UTC and are subject to change. Any price and availability information displayed on http://www.amazon.com/ at the time of purchase will apply to the purchase of this product. 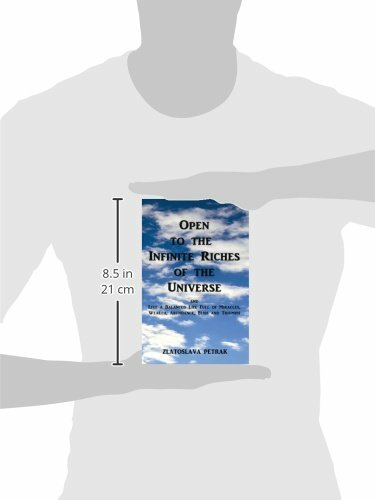 Author Bookstand is proud to offer Open to the Infinite Riches of the Universe by Bookstand Publishing. Bookstand Publishing offers books by the best indie authors throughout North America and the world. Bookstand Publishing is dedicated to offering original content to a broad audience and promoting great authors, literacy, and freedom of expression. 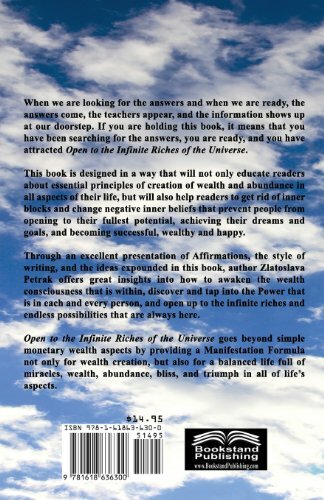 Open to the Infinite Riches of the Universe has generated a lot of interest and excitement and we think it would be an excellent addition to your library. When we are looking for the answers and when we are ready, the answers come, the teachers appear, and the information shows up at our doorstep. If you are holding this book, it means that you have been searching for the answers, you are ready, and you have attracted this book, "Open to the Infinite Riches of the Universe." This book is designed in a way that will not only educate readers about essential principles of creation of wealth and abundance in all aspects of their life, but will also help readers to get rid of inner blocks and change negative inner beliefs that prevent people from opening to their fullest potential, achieving their dreams and goals, and becoming successful, wealthy and happy. Through an excellent presentation of Affirmations, the style of writing, and the ideas expounded in this book, author Zlatoslava Petrak offers great insights into how to awaken the wealth consciousness that is within, discover and tap into the Power that is in each and every person, and open up to the infinite riches and endless possibilities that are always here. 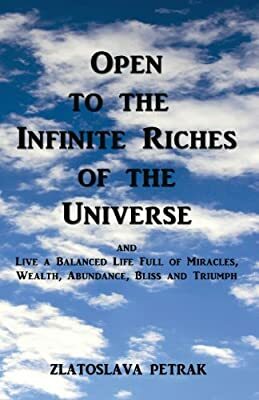 "Open to the Infinite Riches of the Universe" goes beyond simple monetary wealth aspects by providing a MANIFESTATION FORMULA not only for wealth creation, but also for a balanced life full of miracles, wealth, abundance, bliss, and triumph in all of life's aspects.